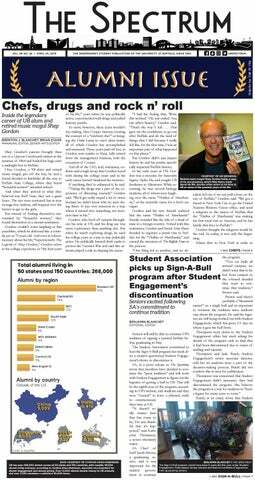 The Society of Professional Journalists announced The Spectrum as the finalist for the Best All-Around Non-Daily Student Newspaper award in the Region 1 Mark of Excellence contest. The Region 1 Mark of Excellence contest includes all colleges and universites in Connecticut, Maine, Massachusetts, New Hampshire, New Jersey, New York, Central/Eastern Pennsylvania, Rhode Island and Vermont. The Daily Pennsylvanian, the University of Pennsylvania’s student periodical, won the award out of eight finalists. The Spectrum has received over 45 national awards in the last nine years and four this past year.